Google has finally seen fit to allow us to purchase its Asus-made Nexus Player. The device goes on sale today for £80 with an optional game controller for £35. 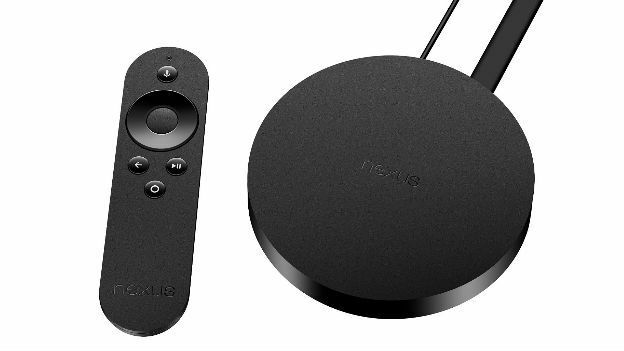 The Nexus Player is the first device to offer access to Android TV and with that comes support for a huge number of Android apps and games. This product is, basically, Google taking on Apple TV and Amazon's Fire TV. Google also seems to understand that the Nexus TV needs to offer everything Chromecast does, so this device can stream from any of the apps you might currently use with Google's HDMI stick. That means you can press a button on your phone to stream from Netflix, or you can load the app directly on the Nexus Player. Gaming is also another key part of the Android TV concept. Google clearly wants us to be able to enjoy the games that we love on our phones on our big-screen TVs. There are some obvious problems with this, most obviously the fact that phones use touchscreens for control, but the optional game controller will be good for some games. The Nexus Player has a decent amount of power too, with a quad-core processor, 1GB of RAM and 8GB of storage for apps. Wi-Fi is also improved from the Chromecast too, here you get 802.11ac which can offer far higher transfer speeds. Because the Nexus Player also does 1080p, the extra bandwidth will be useful for getting high-quality video streaming. Google has a bit of a fight on its hands here though. Apple TV is, it seems, about to get a lot better and Amazon's Fire TV is a great little device too, especially for anyone who has Amazon Prime Instant Video, with its impressive library of streaming video. The Nexus Player might be a bit too late to make much impact, but only time will tell if it can come close to selling the same number of devices as Google's own popular Chromecast.